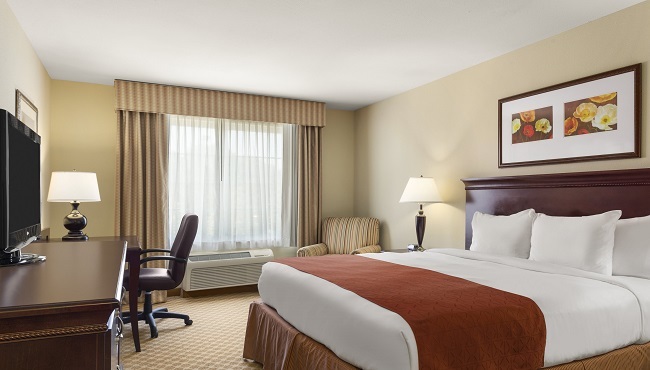 If your kids are tired from the flight into the Savannah airport, you’ll appreciate that the spacious rooms at the Country Inn & Suites are just five minutes away. Turn on the cable TV and let them watch their favorite cartoons while you check social media with free high-speed Internet access. In the mornings, brew a steaming cup of coffee, or grab a cold drink from the fridge. With an in-room microwave, you can heat up your snacks. Need extra space? Consider upgrading to a One-bedroom Suite, and if you’re traveling with a baby, we can provide a crib. 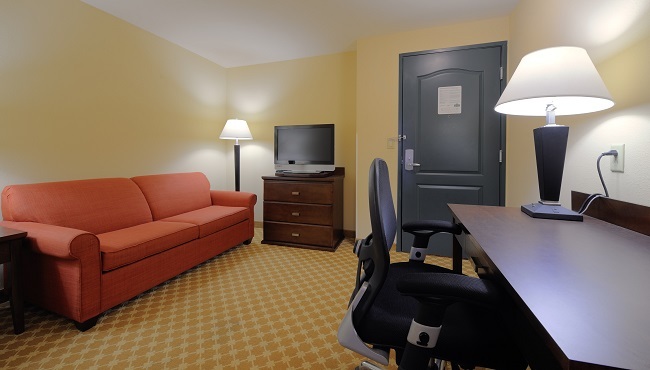 Our Standard Rooms include amenities like free high-speed Internet access and cable TV. Guests can choose from two queen beds or one king bed, depending on their needs. 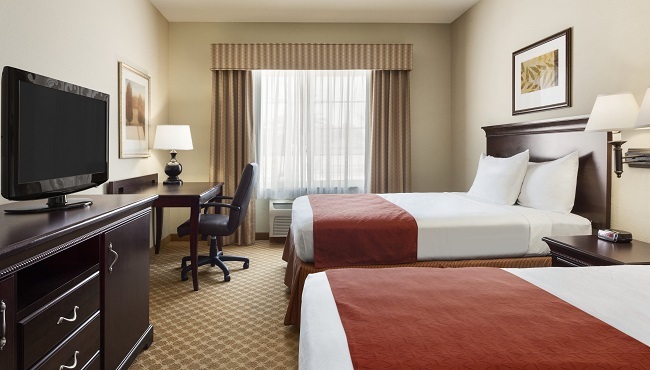 With an open floor plan, a king bed, a sleeper sofa and all standard amenities, this suite is designed for business travelers or guests looking for extra room to spread out. 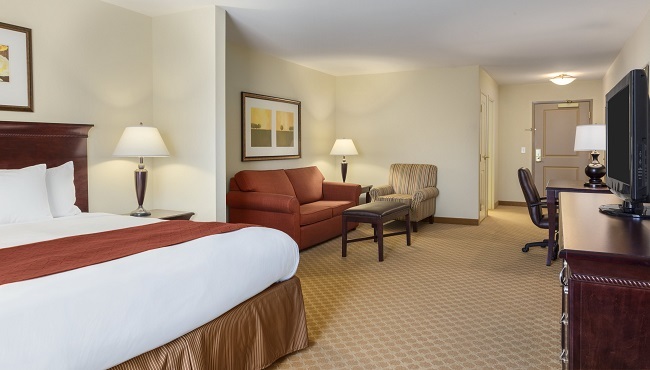 If you’re traveling with family, reserve a One-bedroom Suite to enjoy a separate room with a sleeper sofa for the kids and two televisions.